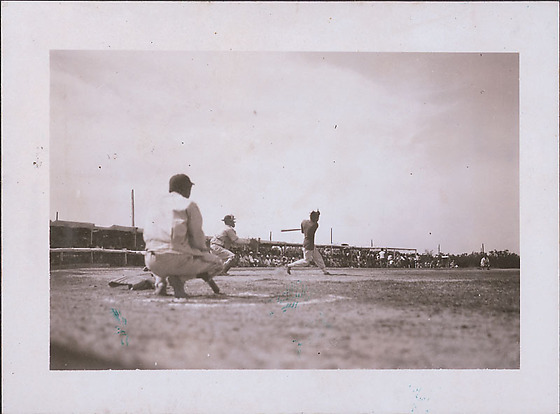 1 b&w; photograph of baseball game. Taken from behind home plate. Umpire in immediate foreground. Batter in mid-swing. Catcher just in back of plate. Spectators off in the distance.